Let poet Paul Janeczko guide you through ten fun forms of poetry kids will love! Teaching poetry becomes a total joy with this renowned poet’s insights, easy-to-use reproducibles, and step-by-step mini-lessons at your fingertips. 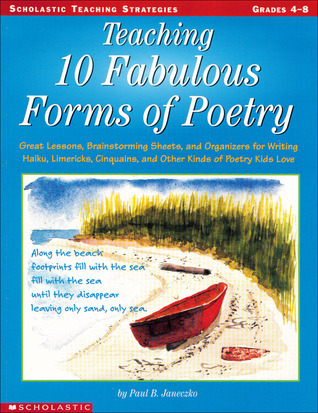 Includes background information, ideas for teaching the forms, and reproducible models for each kind of poem. Poetic forms include haiku, senryu, tanka, limerick, found, concrete, and more! For use with Grades 4-8.